Individual Insolvency Register. Who can find out if I go bankrupt? What is it and who can find out if I go bankrupt? When you are declared insolvent your information is held on the Individual Insolvency Register. 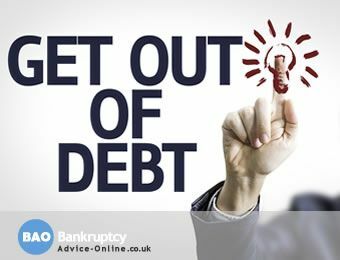 This applies if you go bankrupt, enter an IVA or a Debt Relief Order. This guide shows you what and where your details will be displayed or advertised. Who can search Insolvency Register? We show you how long records stay on the register and how you can get your details removed. The Insolvency Register is run by the Insolvency Service, which is required by law to maintain a public register of bankruptcy and related information. How do I search the Insolvency Register? Searching the individual insolvency register (www.insolvencydirect.bis.gov.uk/eiir/ ) is free and available to all. All you need to search the database is someone's surname. The search can cover the whole of England and Wales. A bankruptcy search on the site will return a list of people with that name. If it's a common name, the number of results may be several pages long. What information does the Individual Insolvency Register contain? As well as their full name, the results shows the full address, date of birth, the category of case (bankruptcy, IVA or debt relief order). There is also a bankruptcy restrictions order register, which contains details of matters relating to interim bankruptcy restrictions orders, bankruptcy restrictions orders and also bankruptcy restrictions undertakings. How long do records stay on the Insolvency Register? Bankruptcy stays on the register for 3 months after the date of discharge. If bankruptcy is cancelled because the debts have been paid in full or creditors have approved an IVA, it stays on the bankruptcy register for 3 months after the Secretary of State receives notice of the order. IVA's stay on the register for a period of 3 months after the Secretary of State receies notice that the arrangement has been cancelled, satisfied (completion of the IVA) or terminated. Details of a Debt Relief Order stay on the Insolvency Register for 3 months after the moratorium period has ended or the Debt Relief Order is revoked. Can I stop my details appearing on the Insolvency Register? The Insolvency Service says that, by law, it has to keep a public register of such information. This is so creditors, employers, and lenders have access to the information they need. You can apply to have your address removed from the Individual Insolvency Register if publishing it will put you at risk of violence. This won’t affect your bankruptcy, IVA or Debt Relief Order. Where else is my bankruptcy advertised? All bankruptcies in the UK are also published in The Gazette. The Gazette is a government publication, managed by The Stationery Office. It is the UK’s official public record, and is comprised of three publications: The London Gazette (published every weekday), The Belfast Gazette (published on Tuesdays) and The Edinburgh Gazette (published on Fridays). The information also appears on it's website. The Gazette shows the same details as the Insolvency Register, and you can request that your address is hidden if if publishing it will put you at risk of violence. Will my bankruptcy be in the local paper? Bankruptcy is rarely advertised in the local newspaper now unless it’s an exceptional case and the Insolvency Service decides it is in the creditors interest to publish it your local paper. This is usually if you are not cooperating with the Official Receiver.